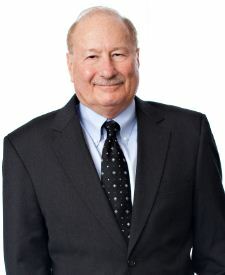 Philadelphia, PA, December 8, 2014, Stephen A. Sheller, Founding Partner of Sheller P.C., has been recognized by Elite American Lawyers for dedication, achievements and leadership in whistleblower cases. Mr. Sheller became involved in his profession because of his educational background. He was going to be a veterinarian and received a “C” in organic chemistry, so he changed his mind and decided to study the legal field. He started as a young lawyer representing those who were underrepresented, including members of the Black Panthers who had been jailed while protesting inadequate education for minorities in the late 1960s and early ’70s. Later on in life, Mr. Sheller started representing whistleblowers against major pharmaceutical companies. Today, he continues to serve the people as his firm is one of the leading whistleblower, plaintiff’s product liability, personal injury and class action law firms in the U.S. Mr. Sheller represents clients injured by defective drugs and interacts with ghostwriting companies. Throughout his career, Mr. Sheller has shaped history, working for the underdog on landmark cases such as Bush v. Gore, Price v. Philip Morris, U.S. v. AstaZeneca, U.S. v. Eli Lilly, J.S.V. v. Bristol-Myers Squibb, and more. Mr. Sheller won numerous awards for his work, including the Pioneer Award from the Tobacco Control Resource Center, and Trial Lawyer of the Year Award from the Trial Lawyers for Public Justice. He was also named as one of the Top Pennsylvania Super Lawyer, Top 100 Philadelphia Super Lawyer, Best Lawyers in America, and Pennsylvania Super Lawyer. Due to his experience and training in the field, Mr. Sheller was the invited presenter for the Edward J. Ross Memorial Annual Lecture in Litigation at the Temple University Beasley School of Law. His address, “Lawyering in Times of Saints and Evil-Doers,” reminded future lawyers to always lead with their conscience and to seek fairness and justice over personal gain. Mr. Sheller attributes his success to representing hard cases and focusing on optimal legal services. This entry was posted in Litigation and tagged class action, liability, personal injury, underrepresented, whistleblowers. Bookmark the permalink.